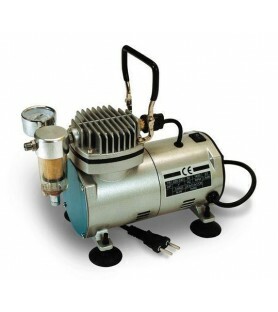 Buy your airbrush for modeling and all kinds of crafts, body painting and hobbies in Artesanía Latina, we are specialists. 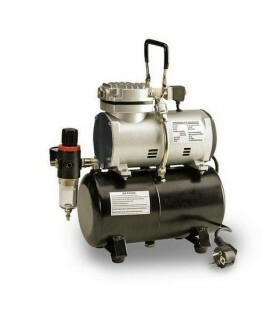 You can find airbrushes and compressors for models of any scale to achieve the most realistic results. 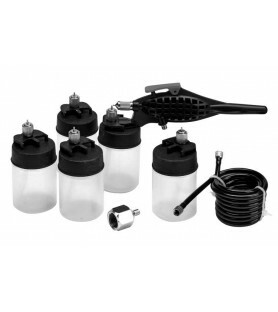 We have airbrushes, airbrush sets, air compressors, airbrush guns, and accessories such as hoses, needles, shutters and racors, among others. 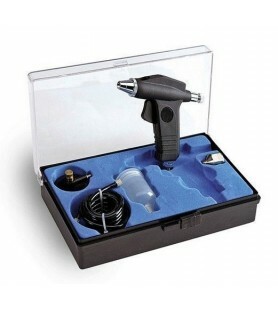 Find your airbrush kit according to your needs and your level of model building, crafts or body painting. 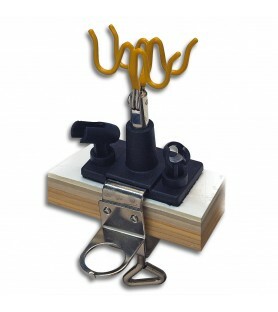 If you are a beginner aerographer, a basic airbrush kit is the first thing you need to start. 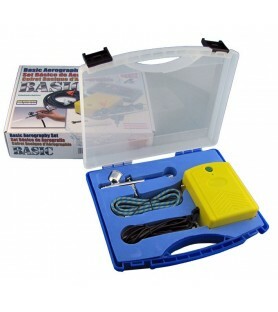 If you are already familiar with these painting techniques and are looking to advance your knowledge to another level, what you need is a professional airbrush kit. 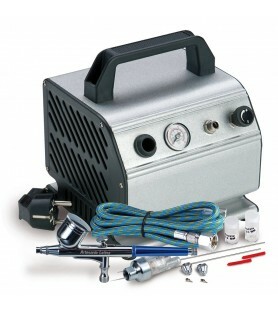 Choose the airbrush you need according to your skills in modeling, crafts or body painting. 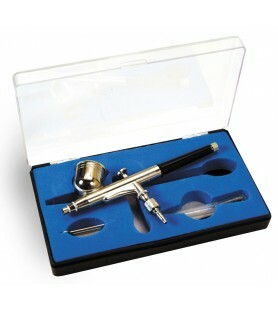 We have both single action airbrushes and double action airbrushes to adapt to you. Check out our extensive catalog! 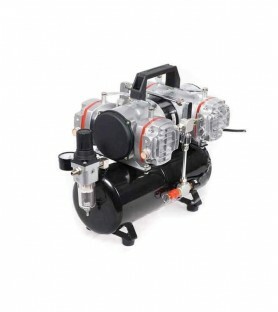 The airbrush guns are more suitable for painting larger surfaces by having a greater painting area with thicker nozzles, and having a greater capacity of deposit than airbrushes. 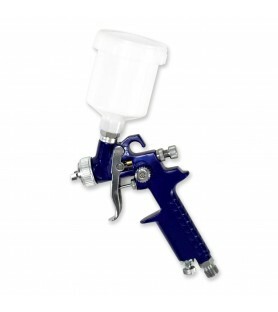 The airbrush guns are perfect for modeling, crafts and body painting. 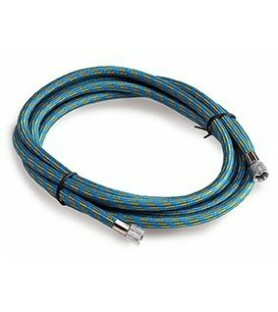 Buy your spray gun here! 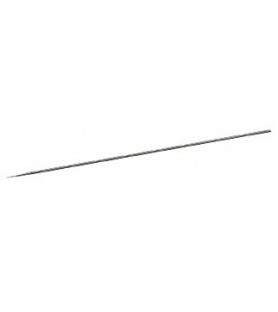 Mini-airbrush for simple action blue airbrushing.The perfect complement for your airbrushing set.Ideal for painting and varnishing large surfaces. 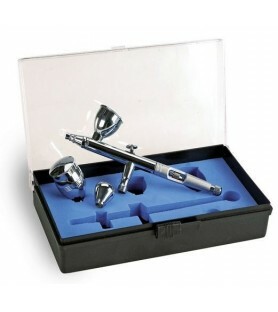 Three-in-one double action airbrush set.With the simple change of the needles of different measures included, we will be able to paint surfaces of different sizes. 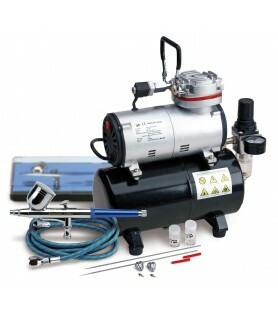 Double action airbrush and side outlet (BD-134).Side outlet for the tank, which can be by suction or gravity, both includedThe quality of the finish offered an airbrush is incomparable in modeling and hobby works, although this versatile tool has other possibilities of use in the illustration, makeup or decoration of cupcakes. 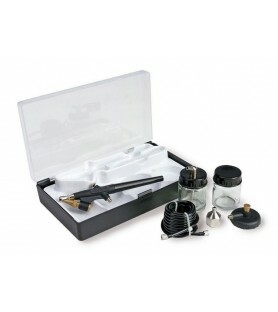 Basic airbrush kit with single action spray.Includes storage case and accessories. 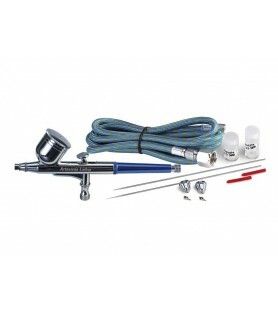 Airbrushing set that includes simple action airbrush and accessories; five cans, adapter and hose of 1.5 m.
BD-105 single action airbrush with 0,3 mm needle. 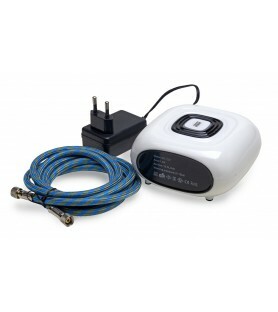 Double action airbrush that includes:- Needle diameter: 0,3 mm.- Tank capacity: 7cc.- Pressure: from 15 to 50 PSI.- It includes case. 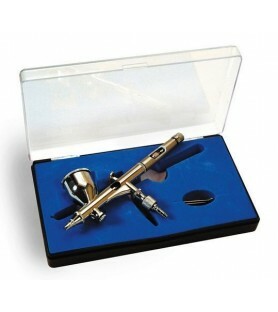 Double action airbrush BD-180 (0,25 mm).Technical specifications:- Needle diameter: 0,25 mm. 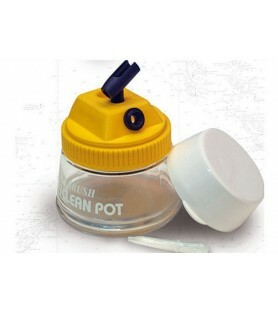 Precision needle.- Tank capacity: 9 cc.- Pressure: 15 to 50 PSI.- Includes case.